Mini Retro Arcade Handheld Game Console Rocker Double Gamepads - BLACK w cenie $64.99 | Chińskie kupony rabatowe, zniżki i okazje! Więcej informacji o produkcie: With built-in 3000 different classic games, this handheld game console can bring you much fun forever. You can enjoy the game to regain the fun of your childhood and share the fun with your child and family. 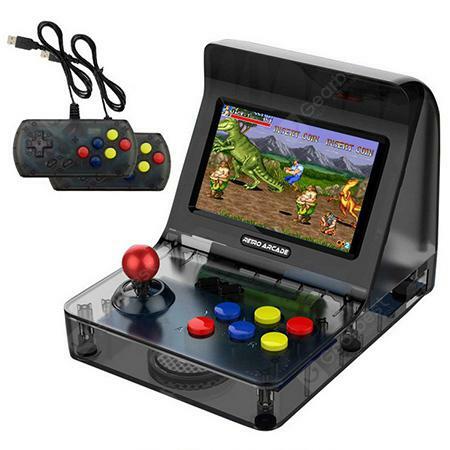 • Multifunctional game console, also support picture viewing, video and music playing, e-book reading, etc.